Description: Automatic opening. 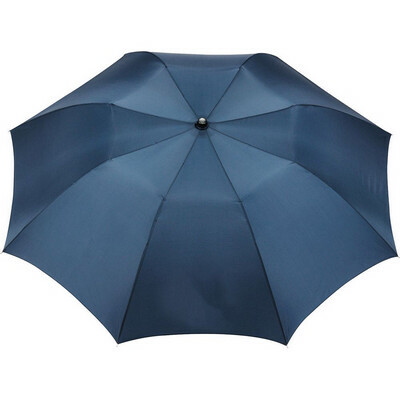 Pongee canopy with matching colour case. Available in 5 colours. Features: Two-section folding metal shaft. Ergonomic matt black (70mm x 38mm diameter) plastic handle with 130mm wrist strap. Folds to 42cm long. Packaging: Bulk Colour: Navy Material: Polyester Product Size: Closed: 420mm (length) - Open: 550mm x 1100mm Freight details : 48 per carton, 17kgs, 48 x 46 x 20cms; Decoration Type(s): Colour Print / Full Colour Print / Sublimation Decoration Area: Screen: 100mm(h) x 270mm(w). Price includes : Item incl Large Full Colour Sublimation - 1 Panel. Setup is included.